The Lucy Chronicles on TheBookSeekers. Lucy Hellenberg is not your typical Pacific Cedar High student. Because in between hanging out with her friends, hating her hair and her math teacher, and trying to decide whether she should dump her on-again off-again boyfriend, she has to deal with a father who refuses to go outside and a house that bears way too much resemblance to the set ofThe Munsters. And that's not all. Lucy has just discovered that she's a descendent of the lovely Lucy in Bram Stoker's Dracula-and that vampires really do exist (right here at Pacific Cedar High!). Now, she has to accessorize her homecoming dress with a necklace of garlic and learn how to drive while driving away vampires-without becoming their next victim. 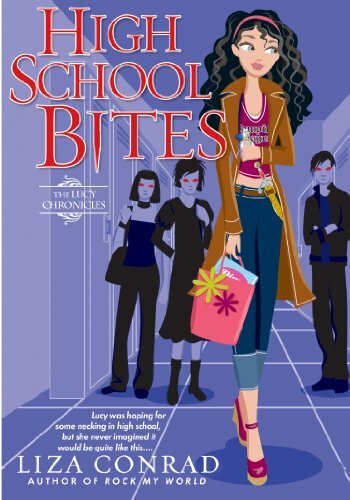 The Lucy Chronicles by Liza Conrad has not been rated for age or fabulousness yet on TheBookseekers. There are currently no reviews for this book on this site. Click on the + buttons to include your own ratings! The Lucy Chronicles was written by Liza Conrad. It was written for young readers to enjoy.